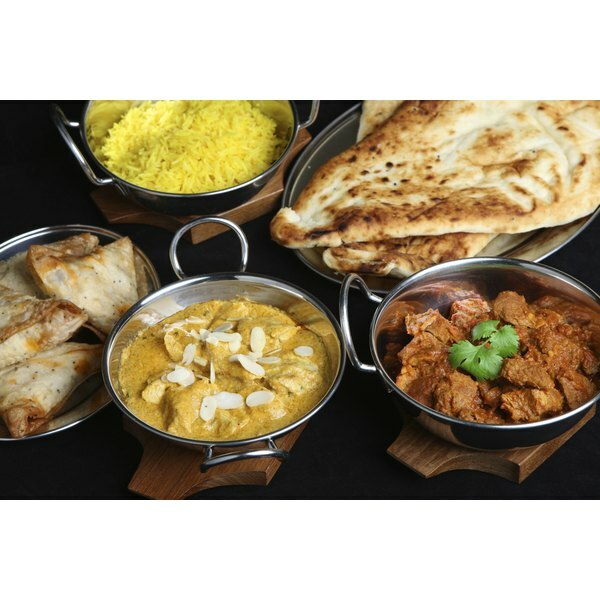 If you have recently visited an Indian food restaurant or used an Indian cookbook, you may have noticed the wide variety of wholesome foods and ingredients used in the meals. Indian meals are generally made with natural foods, such as whole grains, lentils and fresh produce. These types of ingredients can help you lose weight if you are interested in eating Indian food more often. Desi Dieter is a health and nutrition website with online weight loss plans that are tailored to the Indian culture and lifestyle. Nutrition experts are available to assist with providing you a personalized online diet plan based on your weight loss goals. The online diets include plans such as the Weight Loss Diet Plan, Indian Diet Plan, and the Ayurveda diet plan. The Weight Loss Diet Plan is designed to achieve rapid weight loss of up to about nine pounds after doing the diet for two weeks, and each time the diet is followed for two weeks. However, the nutrition experts at Desi Dieter suggest that this diet plan is meant to be an initial rapid weight loss diet plan, and other weight loss plans should be used after this initial plan. The Weight Loss Diet plan is high in protein, and moderate in carbohydrate. You can eat three meals and three snacks daily, which include of a variety of healthy foods such as vegetables, fruits, lentils, and dairy products. A sample breakfast consists of fresh peaches and dhokla, which is a steamed lentil and rice dumpling with spices, or rice crackers with paneer, which is a cottage cheese-type spiced curry, with fresh apricots. A dinner meal suggestion on this diet is lentil dal, which is like a lentil soup, along with mixed vegetable rice. Another dinner meal has steamed mixed vegetables, mushrooms and mashed potato. If you enjoy foods like a variety of beans, vegetables, rice and Indian bread, you might be interested in the Indian Diet Plan, which is a high fiber diet designed to help keep you full. You can expect to lose up to 4.4 pounds after following the diet for two weeks, and then each time you follow the diet for two weeks. If you experience less weight loss after continuing the diet after a few weeks, consult with the experts at Desi Dieter to review your weight loss goals. A sample breakfast is rava idli, which is a steamed and spiced dumpling made out of a grits-type flour, along with chutney, which is a spiced dip, with buttermilk on the side. A lunch menu is two bran rotis, which are like an Indian flatbread, with cooked spiced okra, along with raita which is a cucumber or raw vegetable spiced yogurt. Lentils are great sources of protein, and are very tasty when made into dals in Indian cooking. Dal is basically an Indian spiced lentil soup. The Ayurveda Diet Plan is based on natural healing principles of ancient Indian culture. The diet plan has only one or two food items for each meal, such as one fresh fruit for breakfast, and a bowl of lentil dal or poached eggs for lunch and dinner, and nuts or seeds for morning snacks, and fruits for evening snacks. This diet is supposed to help lose up to about 4 pounds after doing the diet for two weeks, and each time you do this diet for two weeks. As with any of these online diet plans, you can consult with the nutrition experts to verify individualized expectations of your weight loss goals. If you are looking for an Indian weight loss diet that includes more quantities of food, the Mediterranean Diet might be more suitable. This diet is heart healthy and abundant in vegetables, fruits, legumes and nuts and it includes monounsaturated fats. Desi Dieter reports that this diet can offer more permanent weight loss. A sample breakfast consists of lentil soup, whole wheat toast with avocado spread and a banana. A sample lunch is generously plentiful with lentil and vegetable soup, brown rice, broccoli soup, whole wheat crackers, whole wheat pasta with vegetables and a side salad. Paragi Mehta is a registered dietitian and creator of Healthfulfilling.com, a nutrition, health and wellness site. She is also a freelance writer, and has been published in print magazines in the Dallas area. She is a graduate of Kansas State University with a Bachelor of Science degree in dietetics, and has practiced in areas of acute care, public health, consulting and education.